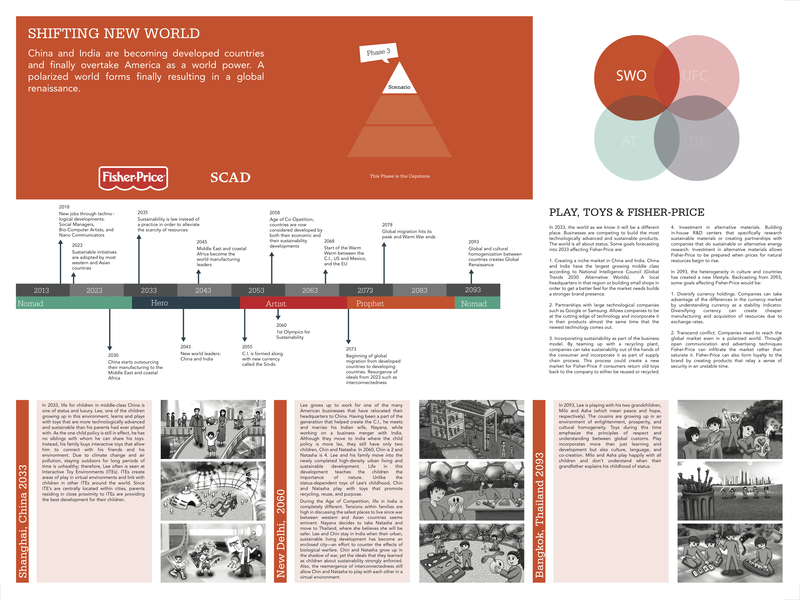 A collaborative project between the Futures Scenario Planning class and Fisher-Price was undertaken in the winter of 2013, which looked at the potential evolution of toys and the role of play on children in the future. 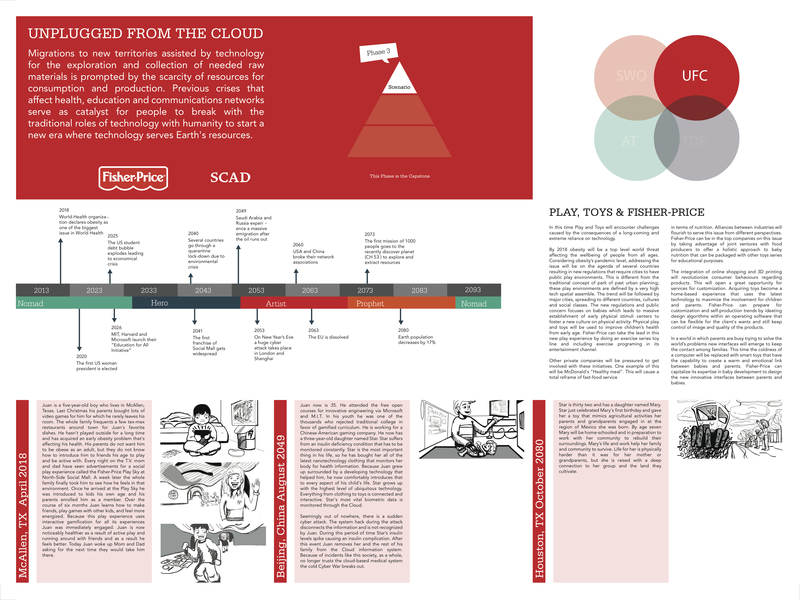 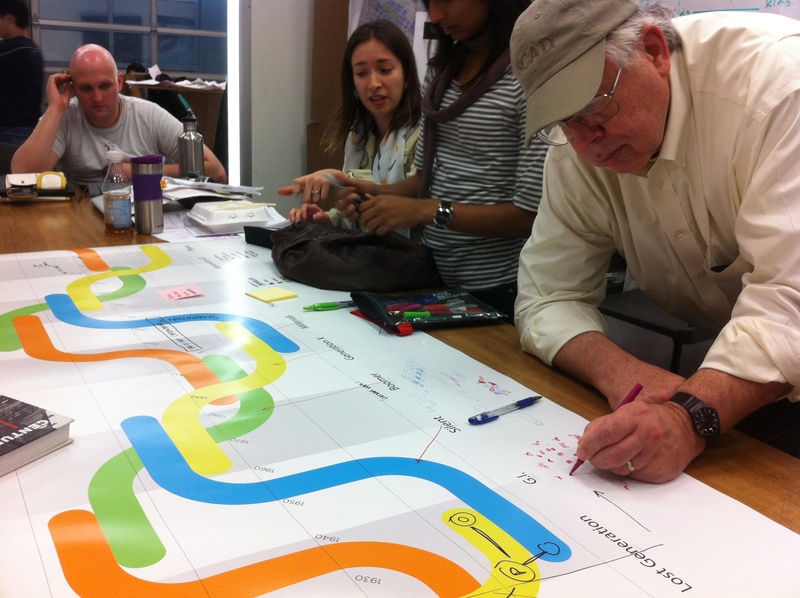 The project allowed the students and members of Fisher-Price to explore a set of plausible futures from which the company could leverage strategically. 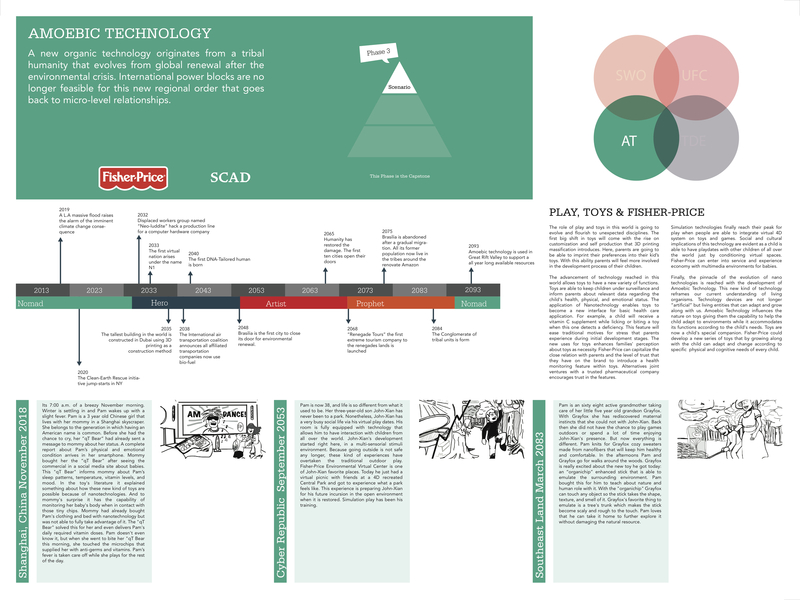 The team focused upon traditional scenario development processes and augmented it by designing a set of new approaches and techniques that organizations can utilize. 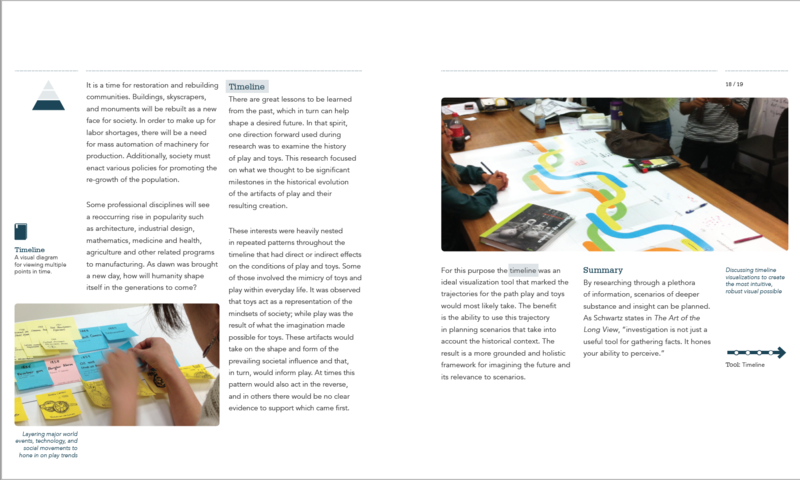 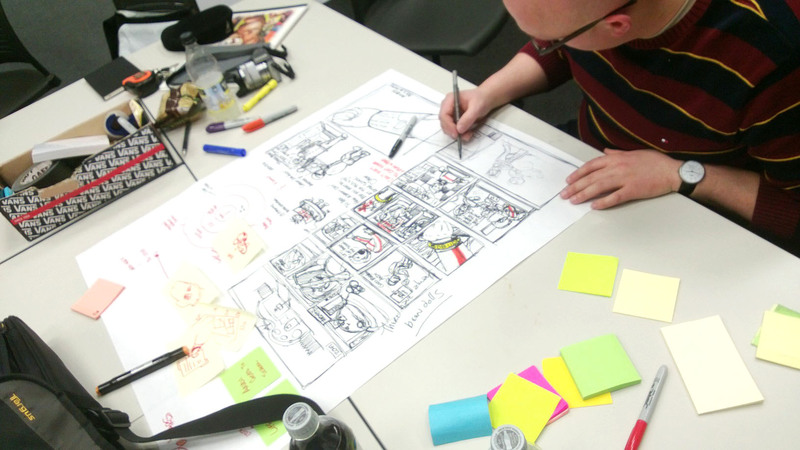 By working as interchanging, dynamic small teams, the group not only developed a series of creatively imaginative scenarios, but also a toolkit and instruction guide for Fisher-Price, and others, to use for crafting their own scenarios. 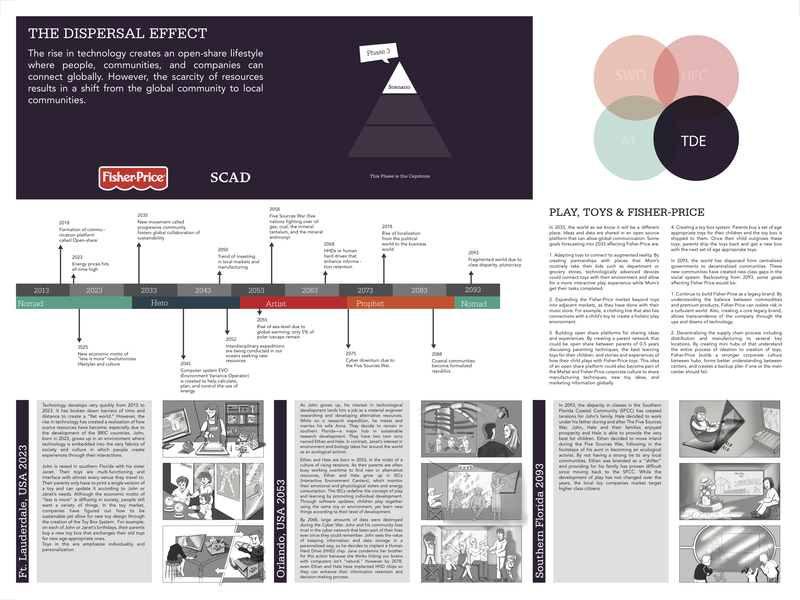 Some of the elements within the scenarios have already begun to be internalized by Fisher-Price through the use of design charettes for opportunity identification.